Brisbane’s office market remains firmly on the radar for investors, attracting a $1.2 billion investment injection in the third quarter of 2018–secondly only in terms of value to Sydney, says CBRE. CBRE’s latest Office MarketView report highlights that in the three months to September 2018, $4.5 billion worth of office assets changed hands nationally, with NSW accounting for 52 per cent of the sales activity at $2.4 billion. Brisbane recorded the second highest level of transaction activity at $1.2 billion, followed by Melbourne with $746 million. In Brisbane, sales activity was driven largely by offshore investors, which accounted for 83 per cent or $975 million of the total sales transacted in Q3 2018. Australia-based investors formed the remaining balance of 17 per cent or $206 million. CBRE’s National Director of Capital Markets – Office, Flint Davidson said Brisbane represented a compelling opportunity for capital investment. “Investor interest in Brisbane has increased significantly this year, with a number of new capital entrants to the market. These groups have been attracted by the improving economic and leasing fundamentals, as well as the relative value in comparison to the east coast markets of Sydney and Melbourne,” Mr Davidson said. Year to date, prime CBD yields in Brisbane have compressed to 5.5 per cent – down almost 60 basis points over the past year. 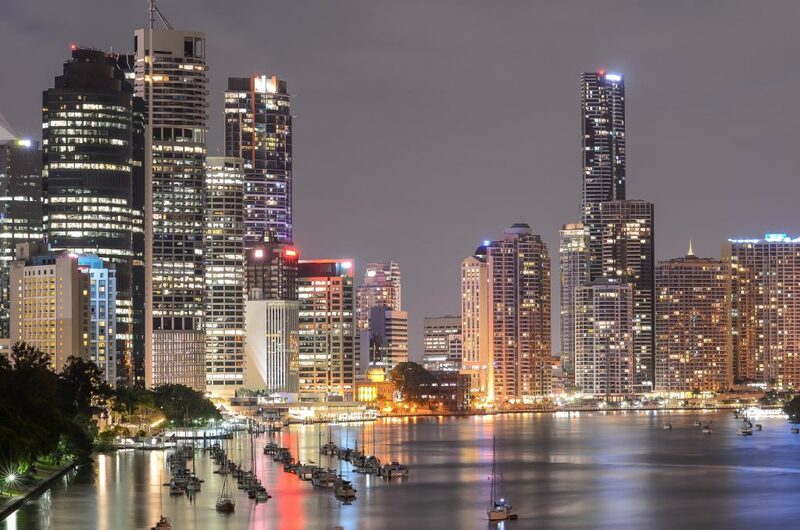 CBRE Associate Director, Research, Felice Spark, said the resurgence of net interstate migration to Queensland would help support growth in the office market. “After slipping behind for four years, Queensland is now firmly ahead of Victoria in terms of interstate movement, recording a gain of 24,000 people in the year ending March 2018 – the strongest annual rise since 2007,” Ms Spark said. On the leasing front, CBD vacancy is beginning to drop, hovering at 14.6 per cent at July, with further falls expected. “The combination of a thin supply pipeline and improved tenant demand suggest vacancy will ease further to sub-14 per cent by the end of this year and sub-13 per cent by mid-2019. Expected face rental growth of 2.5 per cent over the next 12 months combined with a slight reduction in incentives should support net effective rental growth of 3.2 per cent over the period,” Ms Spark added. Reflecting on the year to date, CBRE State Director of office leasing, Chris Butters, said there had been a rebalancing in market fundamentals on the back of improved occupier demand and limited new supply in the Brisbane CBD and metropolitan areas. “More than 80 per cent of leasing transactions undertaken this year have seen tenants move to a higher-grade asset – confirming that demand continues to be weighted by quality of premises when assessing relocation opportunities,” Mr Butters said. Research from Knight Frank has found the Brisbane fringe office market has also regained traction over the course of 2018 and is now competitive with the CBD. The latest Brisbane Fringe Office Market Overview found there had been a flurry of activity in the fringe over the past year leading to a significant improvement in its performance. “While the CBD is set to remain a strong competitor for larger tenants, the fringe market has regained traction in the past six to nine months,” said Andrew Carlton, Knight Frank Partner – Office Leasing. “The Queensland economy remains on an expansive trend with an acceleration in economic growth which is flowing through to the fringe given its exposure to the growth sectors of mining and engineering, energy and education. “Solid employment forecasts, upside for commodity and energy related industries, and competitive deals on offer in quality fringe accommodation is set to boost net absorption levels in the near term.